The slammer I have is a test sample that never panned out for production. I bought it on eBay about 5 years ago (1997-98) I think I paid $35.00? 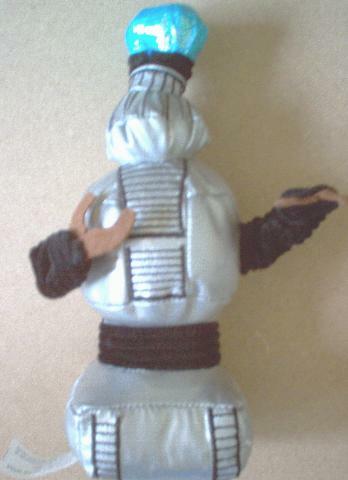 The slammer is a toy filled Lost in Space Robot B-9 with plastic pellets at the base with a sound chip. When you slam it on the ground it says some certain phrase? The Robot says the standard "Danger Danger" or Warning Warning". 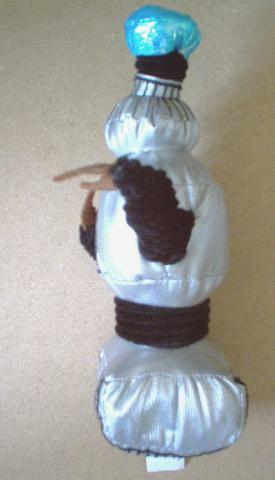 I don't know the name of the Company that produced the slammer, as the tag on mine says "sample item not for resale". Comments: This is certainly a very strange item. I for one have not seen one of these up for sale on eBay or anywhere else for that matter. I am sure only a hand-full of these ever went out to the general public. The unknown Company, probably could not get a lic. agreement for this item? A very highly collectible item never the less. 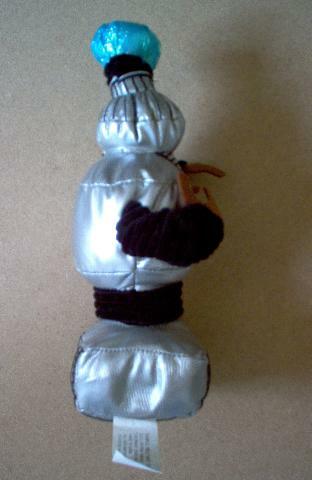 Many thanks to, "Terry McKnight" for sharing this item with us!